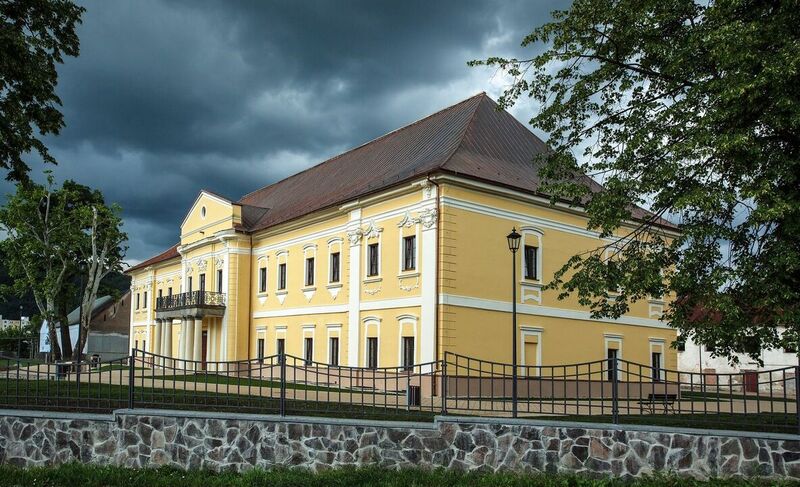 The classicist manor house was built in Snina in 1781 in place of the previous wooden building by the countess Terézia van Dernáthová, grand-daughter of the last male descendant of the Drugeth family, which ruled Snina probably since 1321. Sons of the countess sold Snina in 1799 together with still not completely finished manor house to the Rholl family, trading in mining and metallurgy industry, which discovered iron ore in Vihorlat hills. The two-storey building of the manor house with rectangular plan and projections on the facade was a beautiful noblemen seat with many rooms - bedrooms, dining rooms, rooms for guests, count’s salons, hall, kitchen, cellars. This object had huge basements and there was such a spacious corridor leading under it that a horse carriage could pass through it. The Greek Catholic wooden church of St Basil the Great was built at the end of the 18th century and later reconstructed. It is a log building divided into three parts. Its exterior is painted in white. Iconostas is from the 18th century and the icon of Christ dates to 1773. The belfry standing in front of the church is from the 20th century. The Greek Catholic wooden church of Lords Ascension from 1755. The interior walls of this log building are plastered with clay. Iconostas in this church is in the east Carpathian style, there is also a hand painted altar cross and several crosses carried in processions. The Greek Catholic wooden church of St Basil the Great from 1750. This three-space log building is covered by shingle roof with two little towers. 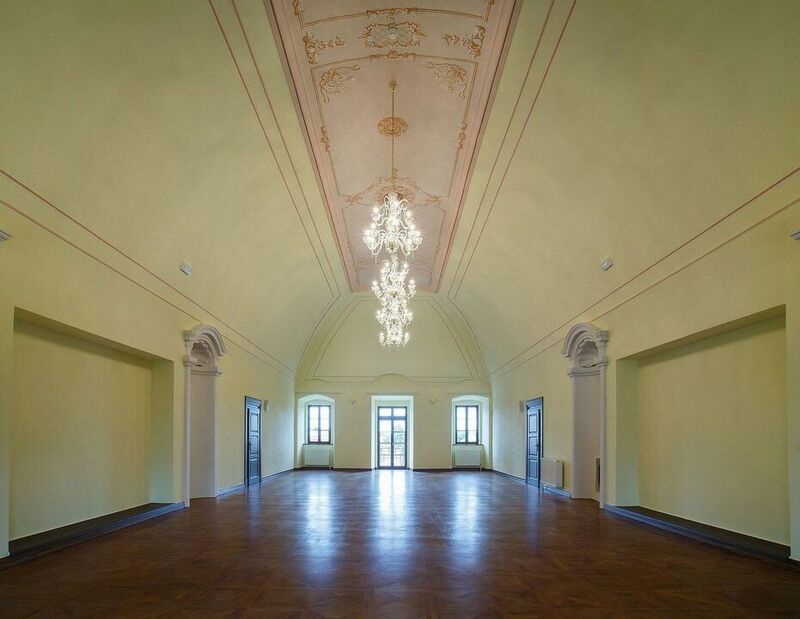 Interior is mostly in the Baroque style from the 18th century. Iconostas is somewhat younger and it dates to the end of the 18th century. Interior also contains an interesting cupboard made in the Gothic style. The Greek Catholic wooden church of St Michael the Archangel from 1700. This log building of the Boyko type is divided into three spaces. It stands on a steep hill beyond the village. It is surrounded by the cemetery. There is a belfry from the second half of the 17th century in the area of the church. The iconostas is from the mid-18th century, some icons are from the 17th century. The Greek Catholic wooden Church of the relics of St. Nicholas the Bishop (Chrám Prenesenia ostatkov sv. Mikuláša – biskupa) was included in 2008, along with seven wooden churches of the Slovak part of Carpathian Mountain Area, on the UNESCO Word Heritage List. The Greek Catholic wooden church of St. Michael the Archangel from 1740. It is a three-space church of the Boyko type. The wooden belfry situated next to the church is from 1956. Iconostas is from the time when the church was built. Liturgical books printed in cyliric in Lvov and other Ukrainian towns in the mid-17th century are especially valuable. The easternmost Slovak National Park is that of Poloniny. It contains original extensive beech and fir-beech forest and the primeval forests of Stužica, Rožok and Havešová, which were put on the UNESCO list of world natural heritage in 2007.